CAGAYAN DE ORO CITY (MindaNews / 09 Sept) — Since 1994, Fr. Teresito “Chito” Soganub had served as parish priest and vicar general of Marawi City, the Philippines’ lone Islamic City overlooking scenic Lake Lanao. His gregarious ways had enabled him to win many friends among its predominantly Muslim population. Indeed, for him the place had become a second home, and for the Church a work in progress in the area of interreligious dialogue and cultural understanding. But the siege staged by ISIS-inspired militants on 23 May 2017 may have changed all that. And for the priest, the crisis and terror made him question God’s plan and his faith. On that day, Fr. Chito had told his workers he would take lunch after a nap and then say the last novena mass for the Feast of Saint Mary, Help of Christians the following day. Sounds of gunfire, however, cut short the priest’s siesta. 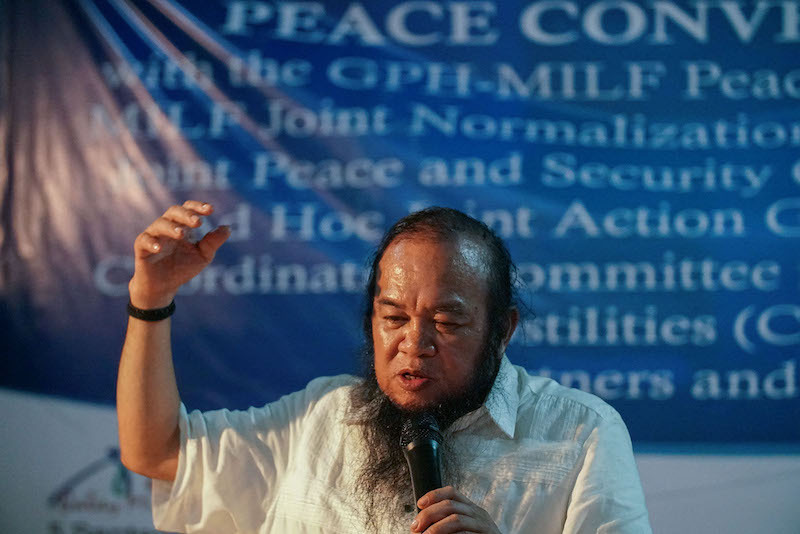 He opened his mobile phone and saw a flurry of text messages from Muslim and Christian friends alike, telling him to leave as armed men had seized control of portions of Marawi. “Should I leave?” he asked himself. “Prayer and discernment first,” he answered his own question. 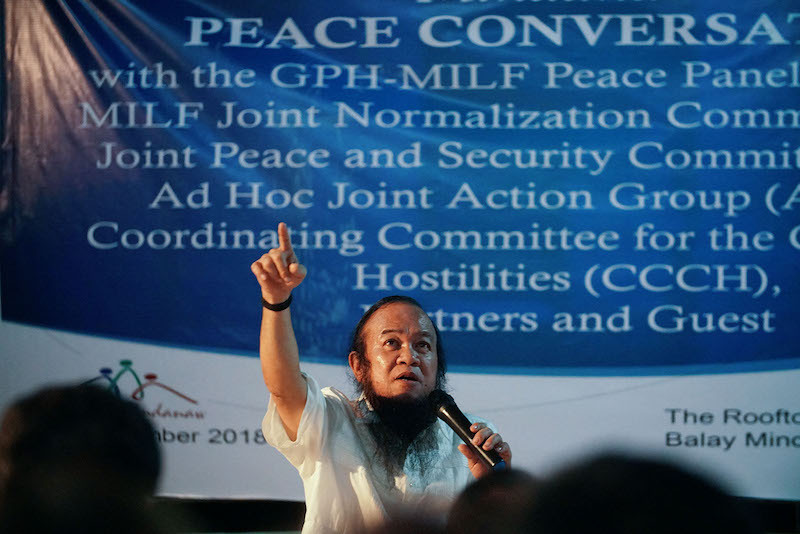 “I decided to stay,” he narrated during the “Peace Conversation” at Balay Mindanaw in Cagayan de Oro City on September 5. “I’m a priest, I’m duty-bound to watch over the Church even if it means risking myself or my death. I won’t leave the last novena mass because the Virgin Mary might say, “Ay, pari nako talawan, molakaw, mora ra bag gwapo (Oh, my priest is a coward, he’s leaving, as if he’s handsome),” Fr. Chito joked, eliciting loud laughter from his audience, some of whom were Muslims. Before the mass, Fr. Chito called Bishop Edwin dela Pena of the Marawi Prelature telling him not to go to the city and that he had opted to stay. The bishop would have officiated the fiesta mass on May 24. “Aren’t you afraid?” dela Pena asked. “I’m afraid, Bishop, but I have to say mass. And, Bishop, since you’ll not be saying mass, I’ll just take half of your stipend,” Fr. Chito, ever the standup comedian and trying to make light of the ordeal he went through, said. “My workers told me they saw armed men sporting long hair and beard. To ease the tension, I quipped back, ‘So they’re handsome’.” The priest also sports long hair and beard. “Later, a van tried to bulldoze its way through the church’s gate. But my male workers, sensing danger, had blocked it with huge stones. We then heard an angry voice over a megaphone shouting ‘Mga pari, mga madre, bumaba kayo. Sumunod kayo sa mga utos kundi babarilin namin kayo (Priests, nuns, come down. Follow orders or we’ll shoot you)’. He repeated the warning ten times,” Fr. Chito recalled. “I told my companions, ‘If we don’t go out all of us will die. But if we go out we have a chance, not all of us will die.’ So we decided to go out. “Outside, one of the armed men barked, ‘Where’s the priest?’ At first, I thought I would be saved if I didn’t reveal my identity and run away so I told him the priest went to Iligan. But there were so many of them around, mostly young people, the eldest maybe in their 30s. Maybe I could outrun them but I knew I could not outrun the bullets. So I told one of the men that I’m the priest. He yelled ‘ah, so you’re the one.’ I then took out my ID from my bag and shoved into my pocket. At least, if I died, it would be easy for the funeral parlor to identify me. “They shoved me into the van. I saw five female and two male teachers inside – seven sacraments, I’m the perfection! Later, our number increased to thirteen…the Last Supper. I asked God if it was to be my last night on earth. 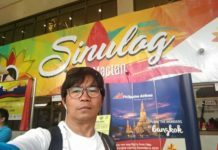 “But, Sir, we don’t have Duterte’s number; we’re not text mates,” the priest managed a joke, although the militants were proven right because “some of my fellow hostages died in the air strikes in September.” He remembered that one of them was a man named Robinson, a cook from Cagayan de Oro. “Walang pera-pera ito. Tawag ka ng marami para marami ang makaalam na mamamatay kayo (This isn’t about money. Call many people so that many will know that you’re about to die,” Fr. Chito quoted one of the militants as saying. The militants brought their hostages to Plaza Banggolo were more fighters had assembled. But as the hostages were about to enter the outpost the night sky brightened up with tracer bullets from government forces. The militants knew what was going to happen next and so pushed the hostages back to the van and sped away. “You see that? Those are tracer bullets. If the soldiers spot us here [because of those tracer bullets], we’re all dead,” one of them explained. “Bullets hit the area where we were; we escaped death by a few seconds,” Fr. Chito recounted. On May 24, he said, more residents were leaving the city. He saw young boys and teenagers among the militants. By this time, the number of hostages had increased to around 60. They were kept in a three-story building that served as a gun store. However, on June 6, a bomb hit the house opposite the gun store killing some of the militants. 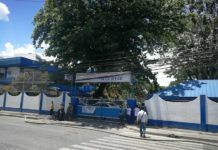 This forced them to transfer the hostages, who now numbered 120, to Bato Ali Mosque. Aside from fighting government forces, the militants took time to indoctrinate the hostages with their own interpretation of Islam and why they wanted to seize the city. “They wanted to establish a caliphate in Marawi because according to them, drugs, corruption and other vices had become widespread there. They were happy. They controlled the city; the military could not go beyond the bridge,” Fr. Chito said, referring to Agus Bridge II, popularly called Mapandi Bridge, which separates the commercial district from the rest of the city. “You’d want to say all your prayers. The second part of Hail Mary acquired more meaning – Holy Mary, Mother of God, pray for us sinners, now and at the hour of our death…,” he continued. “If they relied on faith, I had to do the same,” he said, adding he believes it was his faith that saved him from death on many instances. On September 15, a hundred and sixteen days since the siege started, the Bato Ali mosque was already so damaged that the militants could no longer use it as cover against hostile fire. This made Fr. Chito entertain the idea of escaping no matter what. “I’ll run away tonight. If the ISIS shoot me or if the military mistakes me for an enemy, that’s it,” he told himself, conditioning his mind to the worst that could happen. On that fateful night of September 16, he noticed that neither side fired its guns for about 15 minutes. He saw around 30 soldiers outside who were not in combat position. He interpreted this to mean that the military had gained the upper hand. He and a male teacher he called Jun made the bold decision to make a dash to freedom. While Fr. Chito and Jun were rushing towards the military line the soldiers trained a light on them. “Iyan ang pari (that’s the priest)! Father, takbo (run), drop!” a soldier yelled. “The soldiers ordered us to undress and remove our shoes. What followed is already parental guidance so I told Jun that we’d land on the front page of a women’s magazine the next day,” Fr. Chito said, again drawing laughter from the audience. At dawn of September 17, Fr. 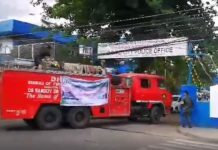 Chito was brought to the Special Operations Command headquarters in Marawi for a medical checkup before his departure to Cagayan de Oro and later to Camp Aguinaldo in Quezon City. 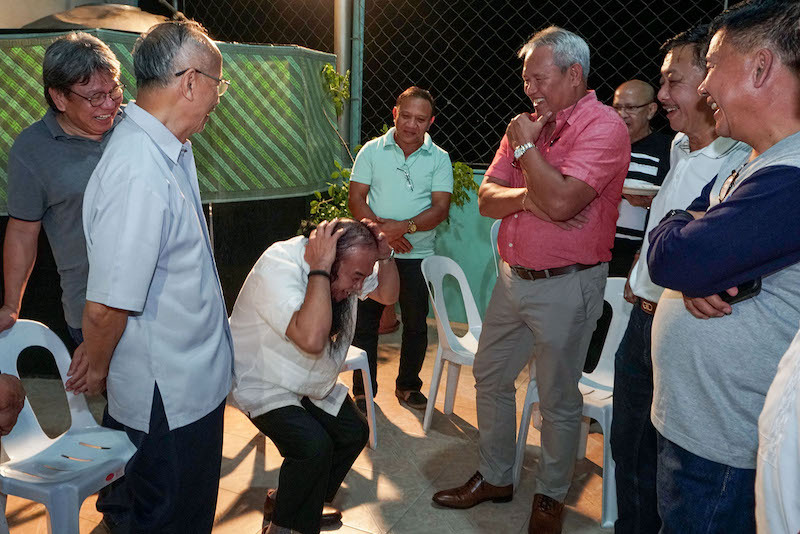 He thanked Cagayan de Oro Archbishop Antonio Ledesma, SJ, who also spoke during the “Peace Conversation” for visiting him in Camp Aguinaldo whenever he was in Manila “bisan kapoy na kaayo siya” (even if he’s already too tired).